In our age of polished tasting rooms tucked into dense industrial areas like little easter eggs of urbanism, there’s something charming to be said about a hole-in-the-wall brewery, linked to a gas station, off the side of a secondary highway that winds through the woods. That’s where you’ll meet Sooke Oceanside, and if your ambition is to grab a growler or two on your way to Port Renfrew or a hike on the Juan de Fuca trail, you’ll have no complaints: they serve up a variety of ales and IPAs with just enough variation for you to find a pleasing option for your journey. But we’re not comparing Sooke Oceanside against hypothetical pit stops on the way to west coast adventures, we’re comparing it to a gigantic list of breweries across southwest British Columbia. 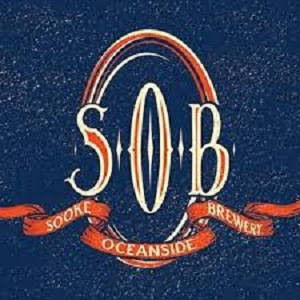 And on this basis, Oceanside is lacking: while professionally made, the mainstays don’t really stick out (though their Renfrew Red Ale is a worthy addition to the canon of reds) and the one-offs are fun enough, but not amazing and not really distributed anywhere, as far as we can tell. The tasting room is a cute pit stop, but ultimately cramped and with not enough on tap to offer a diverse paddle. But let’s take a moment to discuss those paddles, because they are exceptional: big, detailed cutouts of Vancouver Island, with two planes of metal separated by a couple inches and four holes up and down the island to stick your taster glass in. They’re our favourite paddles to date, and if Oceanside ever commissioned a few more to be made, we’d happily fork out the cash for them (hint, hint). The fact our biggest compliments concern the thing the beer comes on should tell you something though. Still, Oceanside is a great place to fill up your gas tank while preparing for the rest of your journey west. Whether it’s worth a trip unto itself is another question.